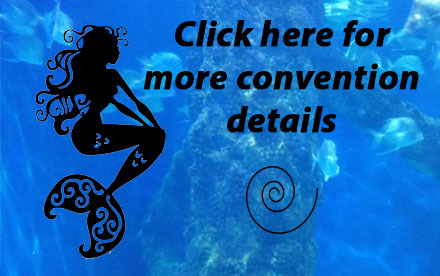 If you would like to apply to be a VENDOR at our 2020 Convention in Virginia Beach, click here for all the details. Won't you consider being a SPONSOR for our 2020 Convention in Virginia Beach? Click here for all the details. 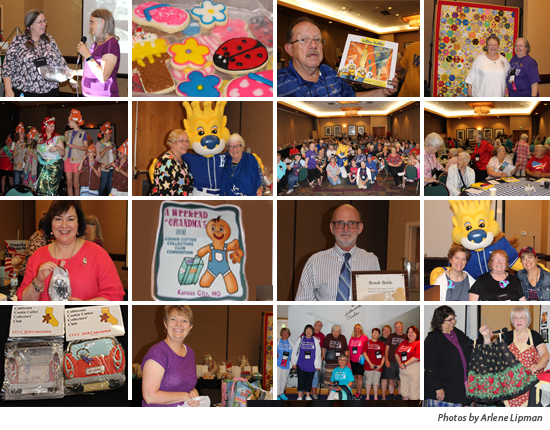 The 2020 Cookie Cutter Collectors Club Convention will be held June 25-27, 2020, at the Founders Inn in Virginia Beach, VA. Please click on the video below for indepth information and check back on this spot often for the latest information as plans come together. 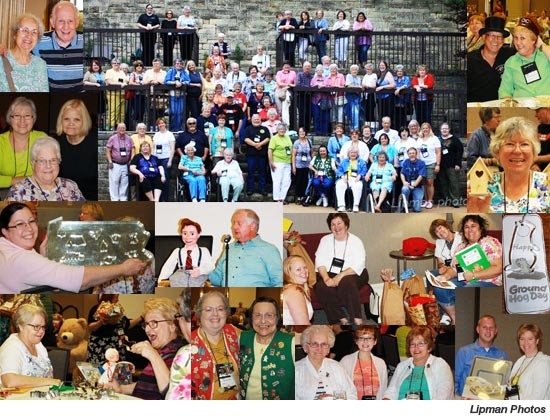 Our 2018 biannual convention was held in Kansas City, MO June 21, 22 and 23, 2018. The theme was "Weekend at Grandma's." Shown above are some photos of all the fun activities. Our 2016 biannual convention was held in June in Denver, Colorado. The theme was "Reach for the Stars." We all had a great time. The CCCC hit the big time at the Pittsburgh Convention when a CBS affiliate TV station, KDKA-Channel 2, visited and filmed a segment for the evening news. These wonderful sponsors are contributing to help us make 2020 a great convention! Please click on their logos to go to their web sites and support them. The club holds a national convention every two years. The location changes each time. The club president at the time of the convention decides where it will be held (usually in the area where she and her committee reside to make the logistics of putting on a convention a little easier. The first convention was held in Bucyrus, OH in 1976. with about 20 members in attendance. Since then they've been held in Michigan, Maryland, Ohio, Texas, Colorado, New York, Minnesota, Pennsylvania, Kansas, Wisconsin, California, and Kentucky. They usually begin about noon on a Thursday in June and end with a Saturday night banquet. Each convention has a theme and many of the talks and give-aways are centered around this theme. Each attendee receives a goodie bag and a special convention gift, along with many new cookie cutters during the course of the 3 days. Many of the cutters are exclusive gifts to the convention attendees. 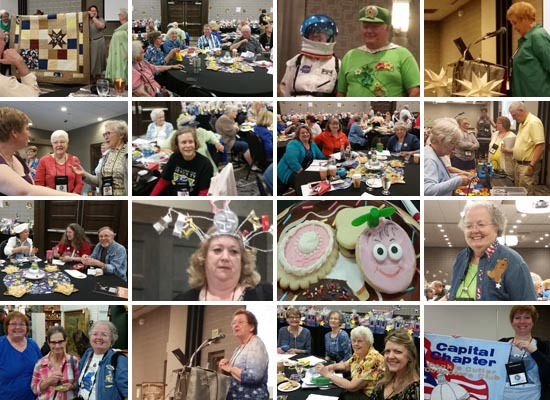 Conventions are a time for learning about new cookie cutters, history of older ones, cookie decorating and, most of all, fun times with new friends and old.